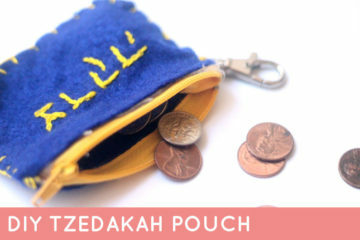 With Chanukah gift giving just around the bend, why not personalize some of your gifts by hand-making them? 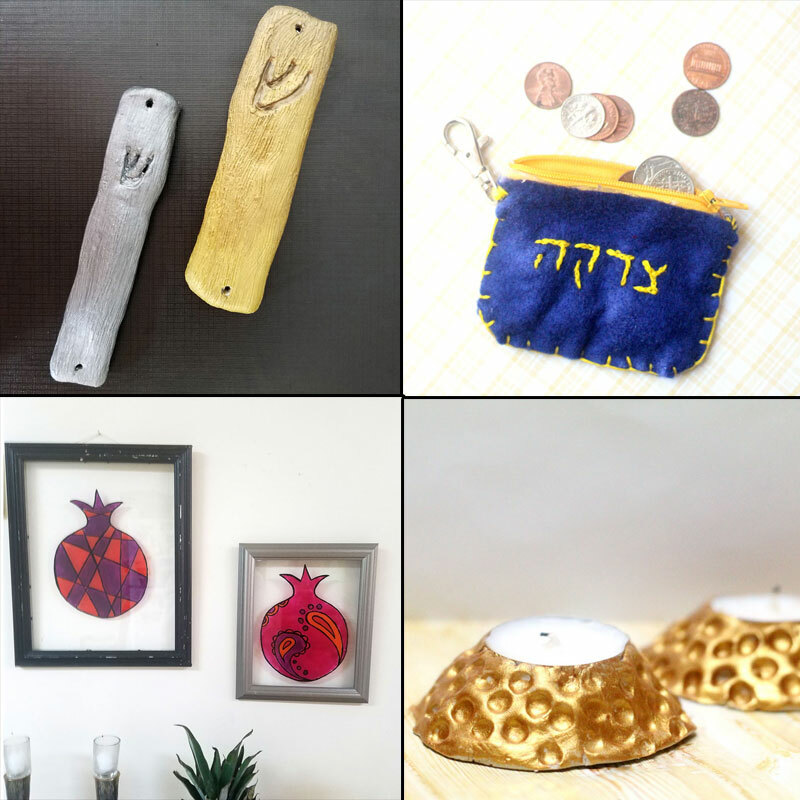 These DIY Jewish gifts include some of the most beautiful Judaica crafts from around the internet, all perfect for Chanukah gifts. Disclosure: this post contains affiliate links. Some of these are fun for gifting to family and friends, and some are spectacular enough to hand to (gasp!) your boss! I’ve also included some sweet ideas to give to kids (because “Mommy made it” will turn it into an automatic winner). There are some Chanukah-specific gifts too, which are perfect as hostess gifts. 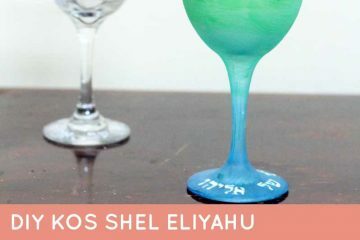 Copyright: All of the images for the DIY Jewish Gifts below were used with the permissions of the respective bloggers for the purpose of this post. Click on the title link or image for the full tutorial. 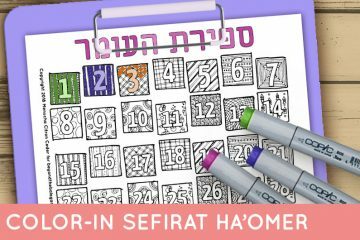 I have created a square and vertical image for your convenience for sharing these DIY Jewish Gifts. Please use the first or last image in this post when sharing and not one of the individual photos below, out of respect for the creators’ copyrights. 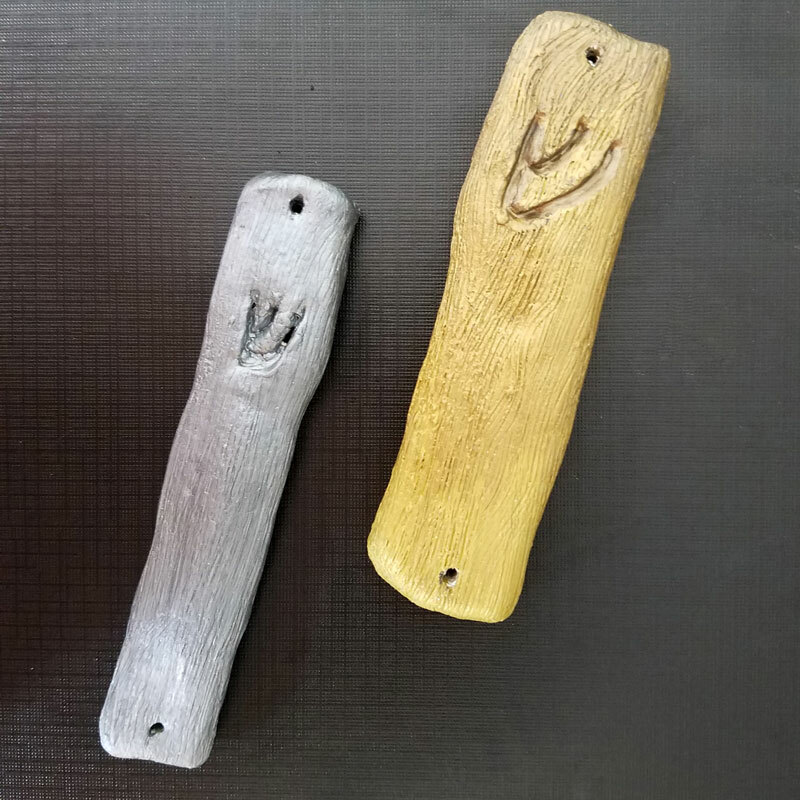 One of my favorite Beyond the Balagan crafts, these clay mezuzahs look like brushed metal, but they can be made by a novice. You can use any color brushed metal-finish paint. They are quite delicate, so make sure to add extra padding. 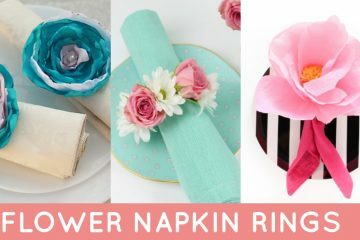 You can bulk make these too, so if even you have 20 teachers you need to gift to, it’ll only take a couple of hours to make these! I used to make these Jerusalem Stone pendants – when I lived in Jerusalem, and getting “Jerusalem stone” meant just stepping outside and collecting a few rocks. 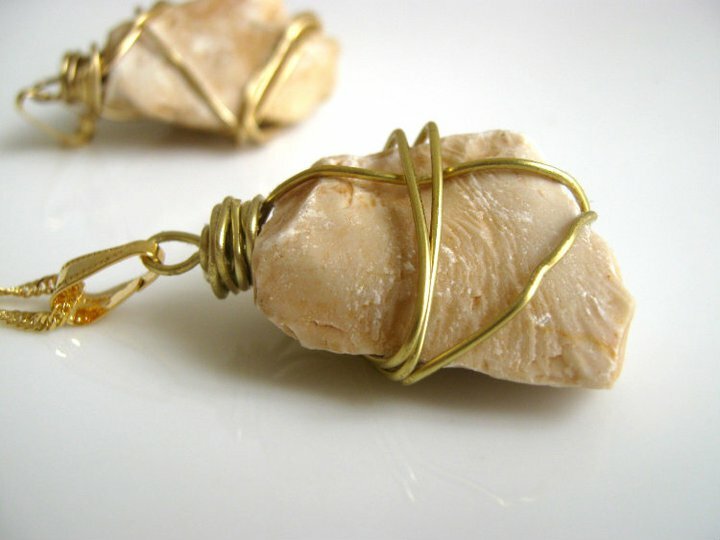 There’s something special about these beautiful white stones and wrapping them the same way I did in this craft (but skipping the gold paint, of course) is an easy way to turn it into jewelry. Six-pointed star = Magen David, right? 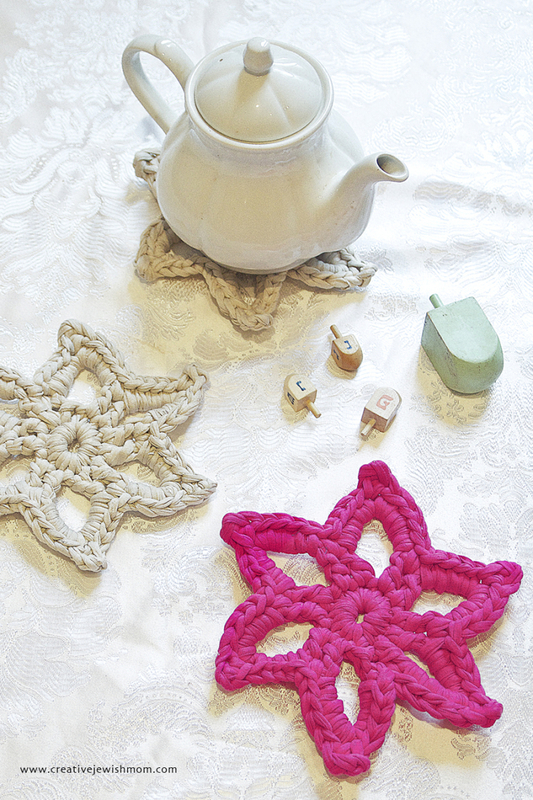 These crocheted trivets are a modern take, and use what would otherwise be rendered as junk. 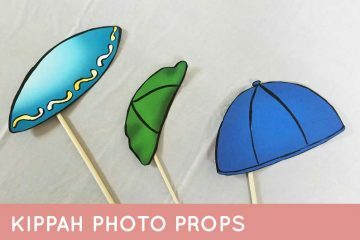 Create these using Creative Jewish Mom’s pattern, and gift a few to your Shabbos Chanukah hosts! Everyone can use a spare set of guest tea-light holders, right? This is another clay craft with a faux metal look – this time hammered. You can see that I like my metals, even if I don’t know how to work them. Clay then comes to the rescue. 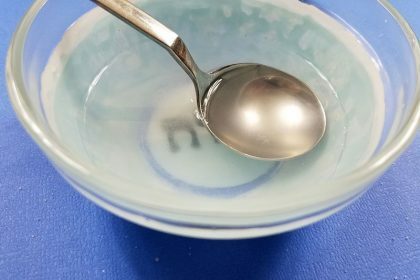 In this case, you’ll want to work with a very specific clay that is non-flammable, AND doesn’t shrink significantly as it dries. This is a bit more labor-intensive than the mezuzahs, so it’s great for that one special person… or two. 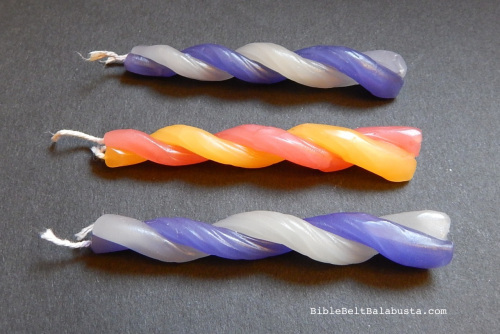 Create a few of these simple havdalah candles in cool color combinations and hand them over as a sweet little gift! It actually makes a great grab-bag gift since it’s small, dirt cheap, but still super-useful. Want something truly hand-made, artistic and super-useful? 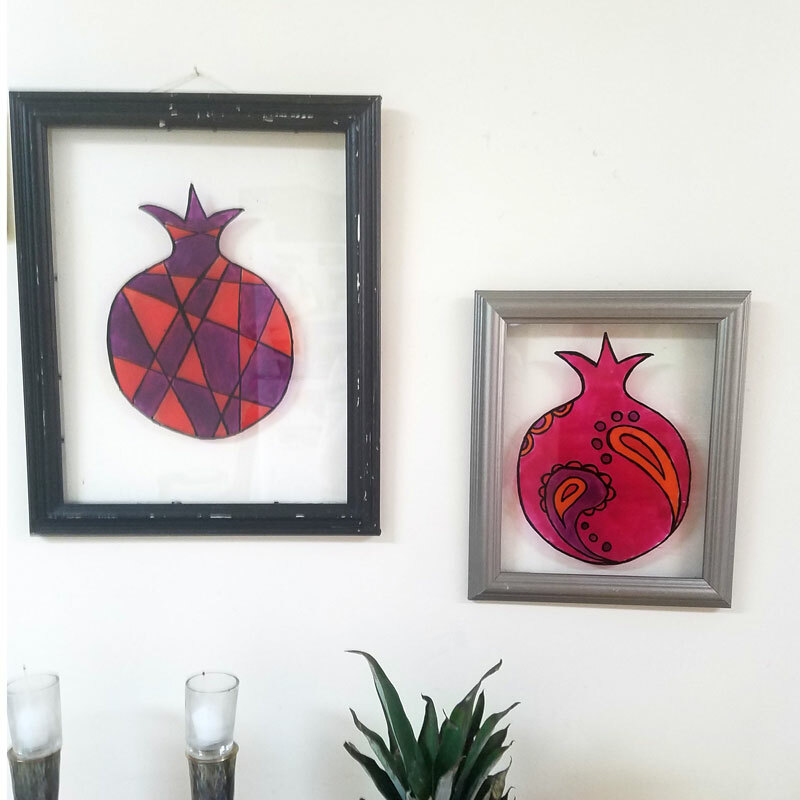 I made this pomegranate wall art as a sukkah decoration, but it’s beautiful for the home for year-round. You’ll need lots of patience, but the template is free, the paint and frames are cheap, and what’s more beautiful as a gift than art that you made? 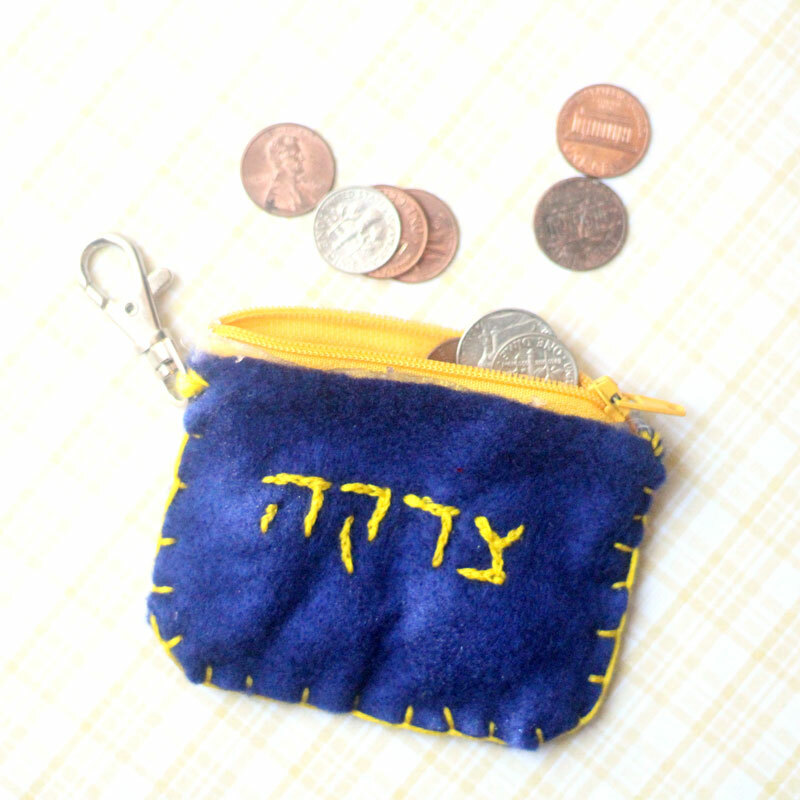 M proudly sports this tzedakah pouch on his knapsack. We keep it filled up with pennies for him to bring to school. Hand-sew this gem using felt scraps, embroidery floss, and a zipper. You can even make it look more luxe by using heather gray felt with white cotton twine, or even faux leather! 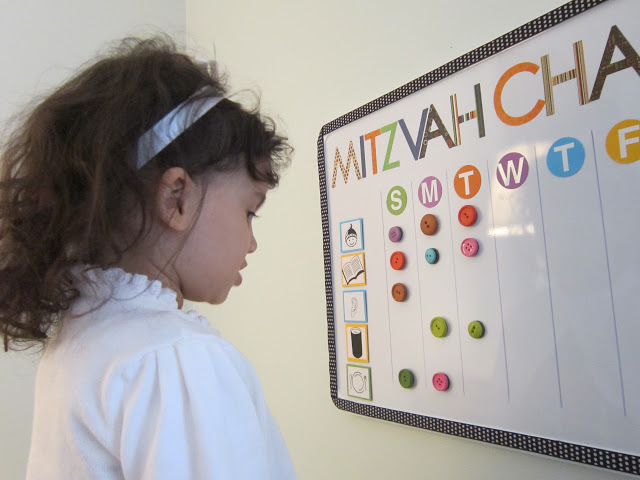 I love the reusable nature of this mitzvah chart! 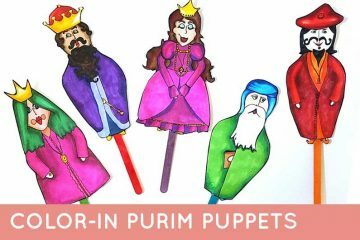 You’ll really be sneaking in a gift for yourself by making this for your kids – way to get them to listen to Mommy and Daddy – Kibbud Av Va’em should be prominently featured on this one. 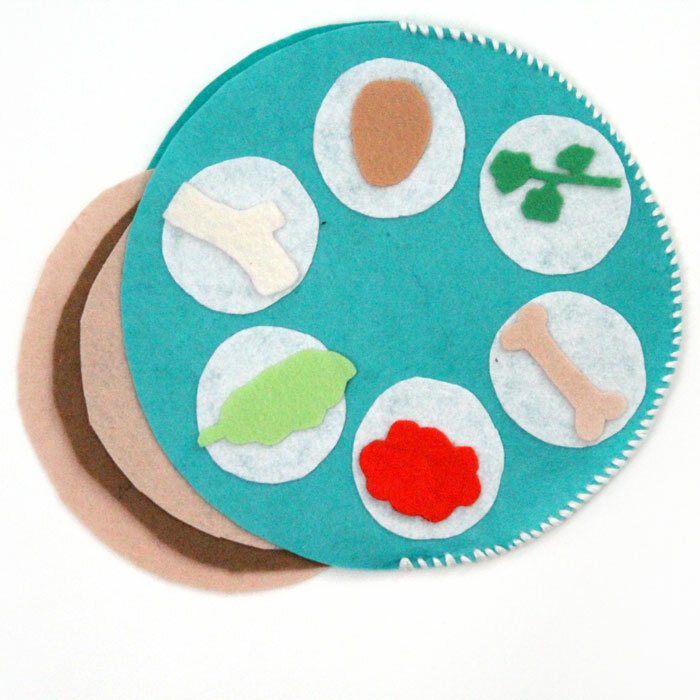 Years ago, I started making these Jewish themed felt toys for M. I wanted him to have more interactive Jewish toys, but those can be so expensive. So instead, I pull out some felt and embroidery floss, and I make my own. Kids take pride in pretty things their parents make for them. 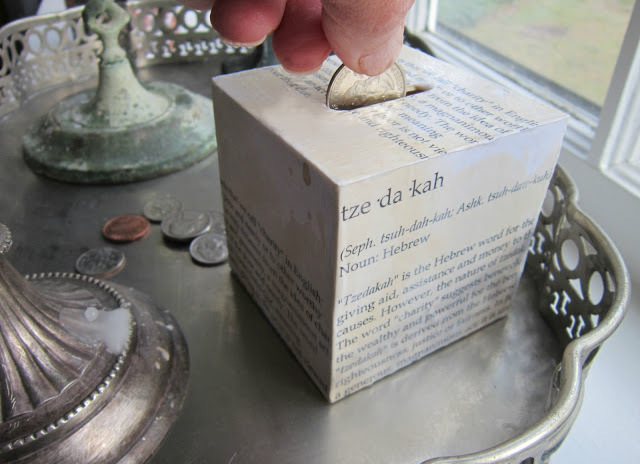 This fun tzedakah box is also bedroom decor, and it is a great way to encourage kids to spare some loose change for those in need. 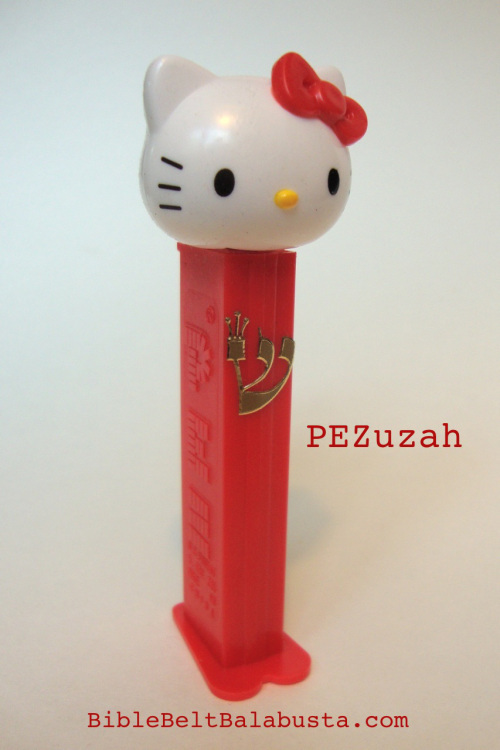 This Pezuzah is simply brilliant – you can literally turn your child’s favorite character into a mezuzah! How sweet is that? I made the menorah above using copper pipe and small bits of wood a couple of years ago. It has a rustic, funky edge to it! If you know someone who’ll enjoy something like this, it’s a perfect Chanukah gift. 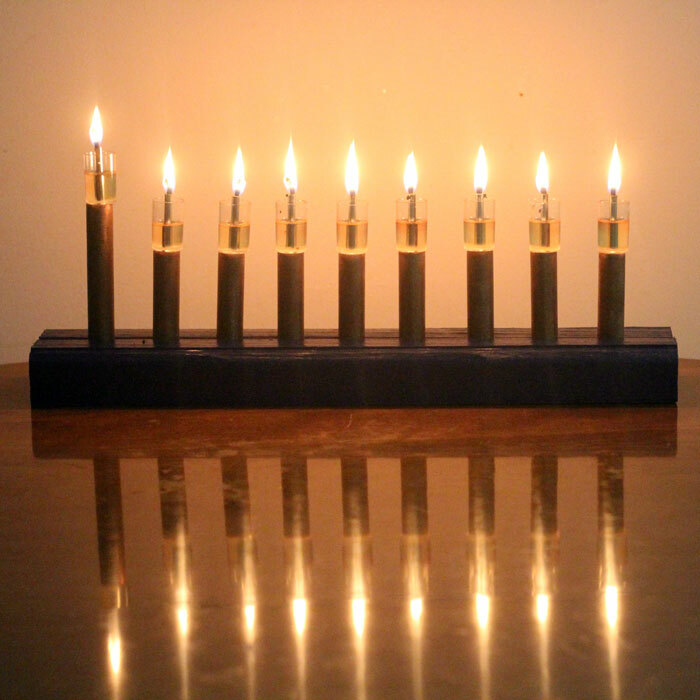 It makes a great “spare menorah” for a family too, and is sure to be a hit for a teenage boy (a difficult category to DIY for). 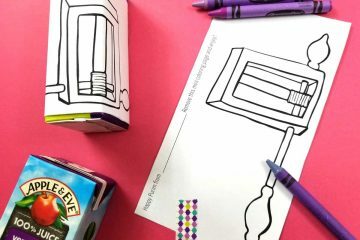 This DIY menorah is obviously for the kids, and is perfect for a child lighting for the first time. 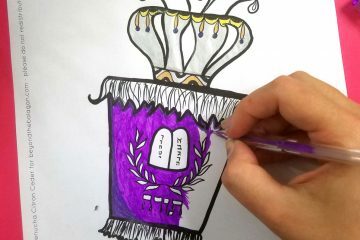 Bonus: Creative Jewish Mom included a clever menorah-lighting prompt in the design. Aaaaand… I’m back to the clay. Because you can make anything with it. And you can make it look however you like. In this craft, I used polymer clay and oven-baked it. 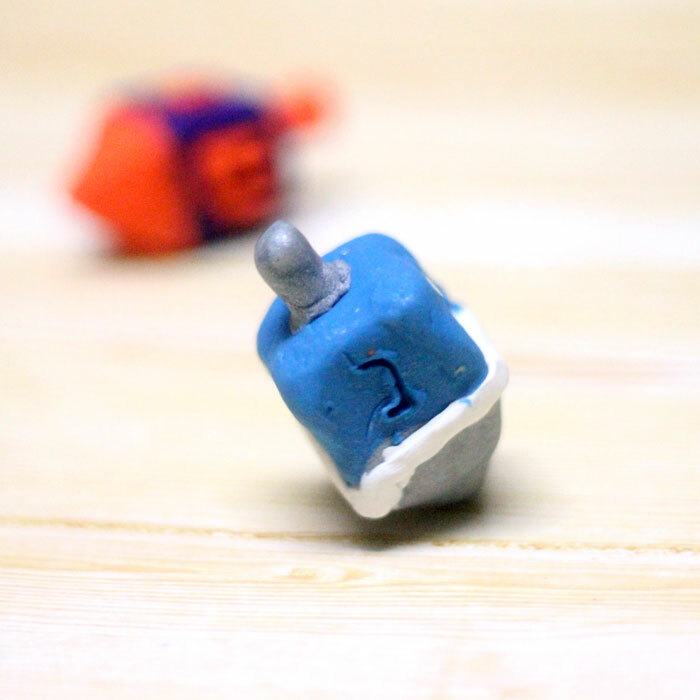 You can make super-artsy dreidels with it too, or stick to the basic colors like I did. 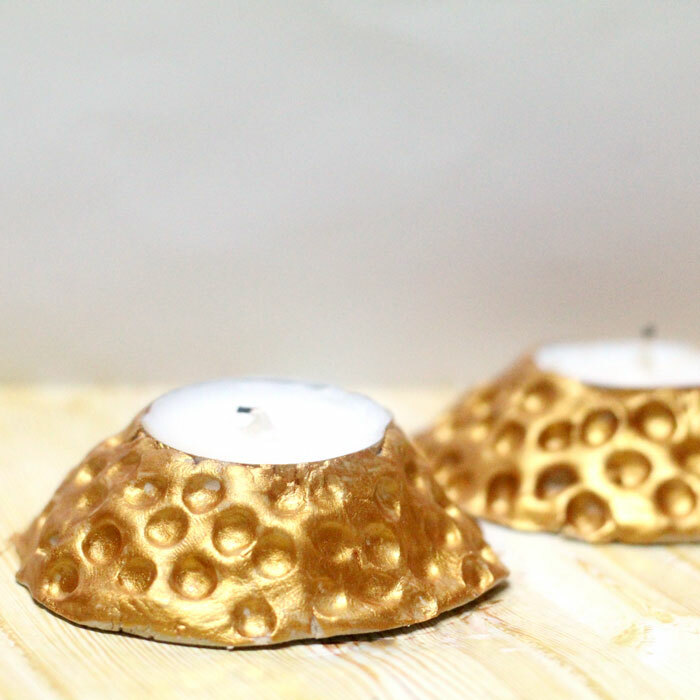 A perfect Chanukah gift: some beautiful rolled beeswax candles! 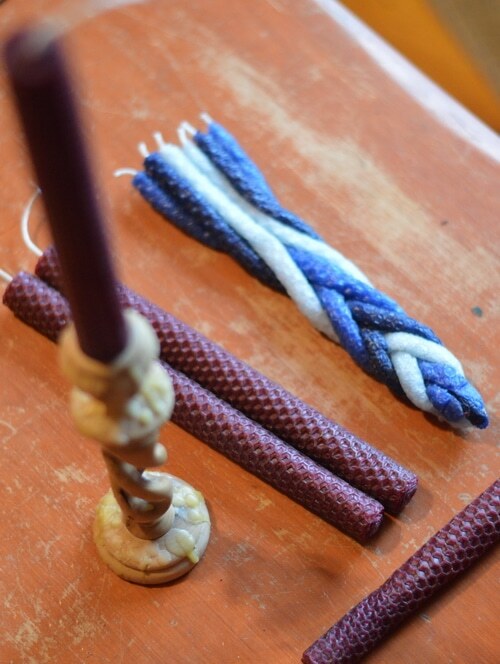 The texture of the beeswax give it a magnificent touch, making them a practical and pretty Chanukah gift. 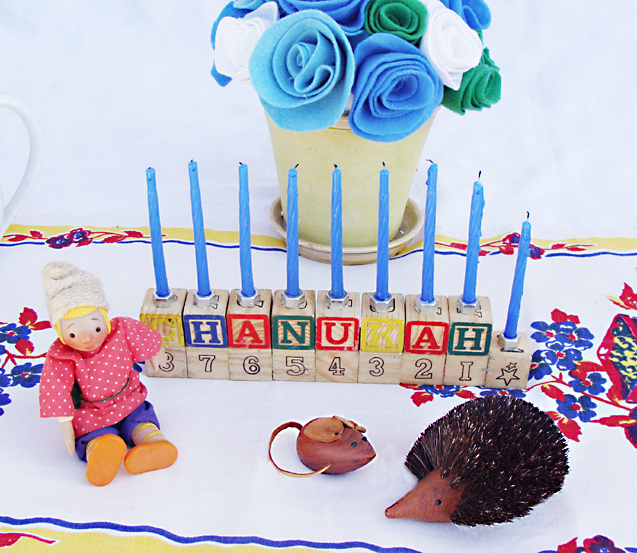 And finally, if you’re looking for a felt toy special for Chanukah, this little menorah is a great DIY Jewish gift for a child who is not old enough to light yet! 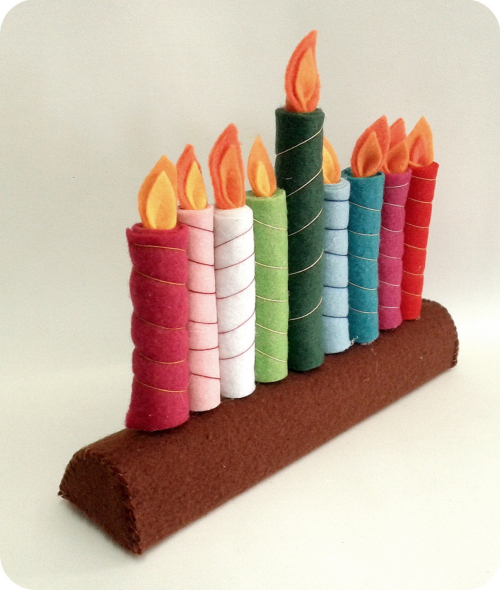 What are your favorite DIY Jewish gifts to make? Comment below!